Huyen is a photographer and designer who I met through the Rising Tide Society. Something about her lured me to photograph her, and she and her partner kindly accommodated my whims and brought me into their home! This shoot happened just days before they left for a six-month trip around the world. Their apartment was almost entirely empty, save a few items (and their cute dog), but the love was still present. 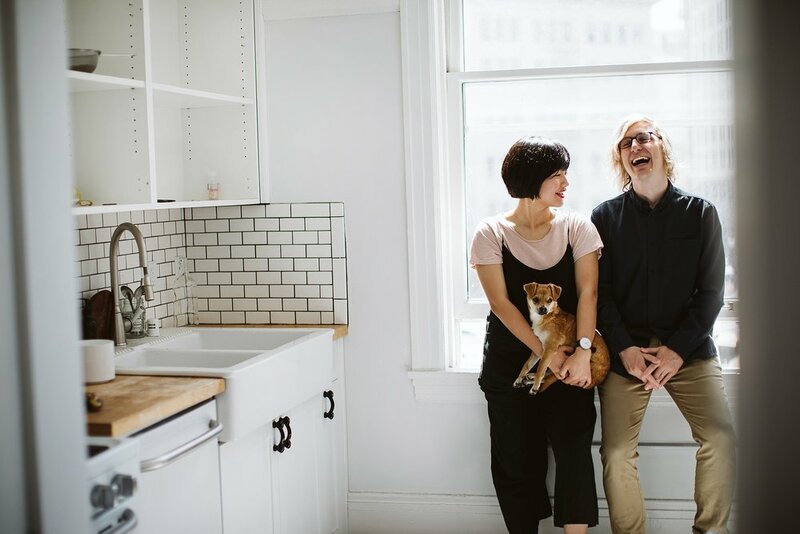 This shoot ended up being a nice endcap to their stay in Oakland, capturing an otherwise glossed-over moment in their lives.